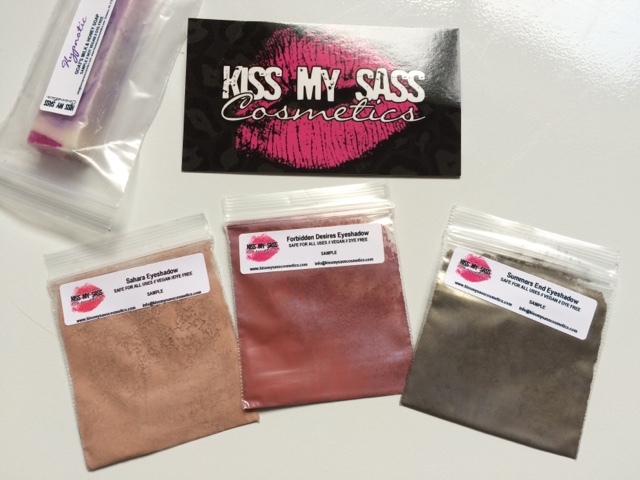 A few more samples from Kiss My Sass cosmetics. 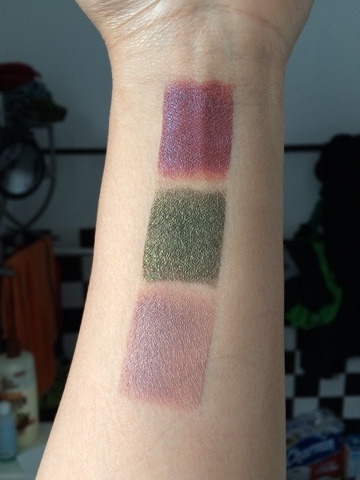 Next time I'll get full size shadows because these samples were $2 each. In comparison with Shiro, you get less sample product for more money which was kind of a bummer. 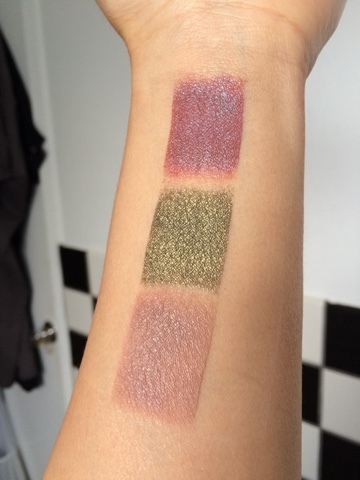 I really love the colors though. Sahara, Forbidden Desires, Summer's End. 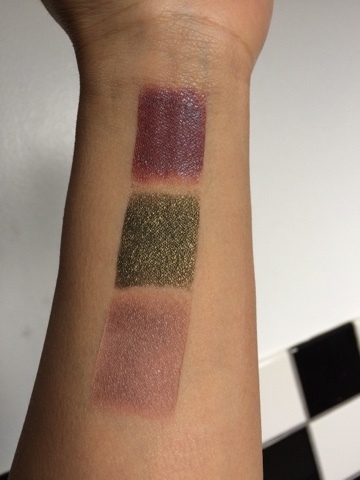 Forbidden Desires, Summers End, Sahara.